Home » Cottage tales » Queen Elizabeth’s Diamond Jubilee. A personal response. Queen Elizabeth’s Diamond Jubilee. A personal response. “I remember watching the Queen’s Coronation at the cinema. I was pregnant with you at the time.” My mum sometimes recalls. How far we’ve moved on since then. TV in every home, computers, mobile phones that can access the Internet. Throughout, Queen Elizabeth has remained at the helm. Steadfast and true to our nation. I like the Queen and enjoy having a monarchy – the idea of a family representing us as a nation. Of course there are politicians too but I wouldn’t feel very happy about being represented by a president of any party as their affiliations and dalliance would be politically biased. The royal family are not political, per se. They are a family that despite having their fair share of problems represent our nation. We are lucky to have a Queen that is intelligent, creative and above all has a great sense of humour. The Queen had no choice in the matter. Well OK she could have turned down the chance to be queen and departed for an insignificant island somewhere. But she didn’t. She stayed and undertook a job that few would like to take up. Who would want to be almost constantly in the public eye, discussed and analysed down to the last detail? Despite being a thoroughly good egg, Queen Elizabeth has brought in a massive amount of income through the tourist industry over the years. This income far outweighs her expenses and is often overlooked. So my hat was thrown high in the air today – and it didn’t fall into a patch of brambles. 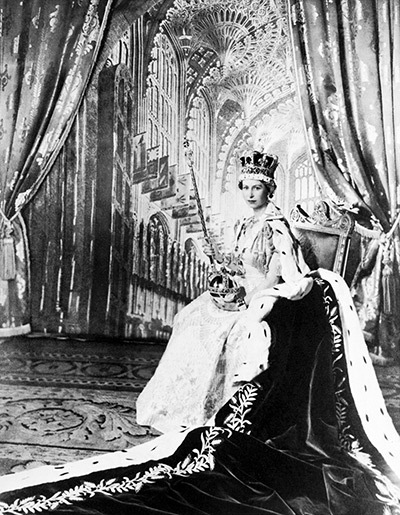 Happy Diamond Jubilee Queen Elizabeth! Along with millions in the UK – I’d like to thank you for being my Queen. Well put, Fiona. Hear, hear! One of the great delights of the Jubilee was watching how comfortable the Royal Family are around each other. There was no awkwardness or stiffness in the way they behaved. They were just like any other family. If you watched the Concert, you’d have seen Prince Charles shed some tears of relief over his dad when the Queen arrived. It was obvious he was worried – he kept checking his phone. (There was a shot of him and Camilla at the back of the box and he was dabbing his eyes with a hanky. I told my husband, “There’s obviously been some bad news…” and then the Queen appeared and smiled. The deal George III did to swap the Crown Estates for the Civil List means that GB Plc is quids in each year. The annual rents from the Crown Estate total over £300 million. The Civil List is tiny in comparison AND the Royals pay income tax. I was pregnant with my son Robin also, we went to my brother -in -law,s , they had bought a Tele, for the ocassion, I think half the street were there too. Thank you, Fiona, well said. And we’re the same age, my mother was pregnant in June 1953 too.